I Am An Insured Motorcyclist Who Has Been Injured In A Motorcycle Accident, What Should I Expect? On behalf of Admin of JML Law, A Professional Law Corporation posted in Motorcycle Accident on Saturday, Nov 17 2018. Dealing with insurance adjusters after a motorcycle accident in California can be quite tough given that insurance companies are generally biased against motorcyclists and are no strangers to treating motorcycle riders unfairly. If you have an insurance policy that covers motorcycle accidents, the first thing you should expect after a motorcycle crash in Los Angeles or elsewhere in California is a call from your insurance company asking you to make a recorded statement. Giving a recorded statement to your insurance company: Yes or No? Now, if you are represented by a Los Angeles motorcycle accident attorney, you have a right to refuse to speak to your insurer in the absence of your lawyer. “Why wouldn’t I want to speak to my insurance company about my motorcycle accident if I am trying to recover damages?” you may be wondering. Let us explain. Giving a recorded statement to your insurance adjuster can go wrong for many reasons, as your words could be twisted and used against you later on. As you may or may not know, insurance companies in California employ a wide range of dishonest and fraudulent tactics to pay their policyholders as little as possible. When giving a recorded statement to an insurance company, there is a risk that you could give information that is not 100 percent accurate. That, in turn, would give your insurer a perfect excuse to deny or limit your personal injury claim, arguing that you were trying to falsify or fabricate your claim. Making mistakes is part of human being, but this rule does not apply to giving recorded statements to insurance companies in California. 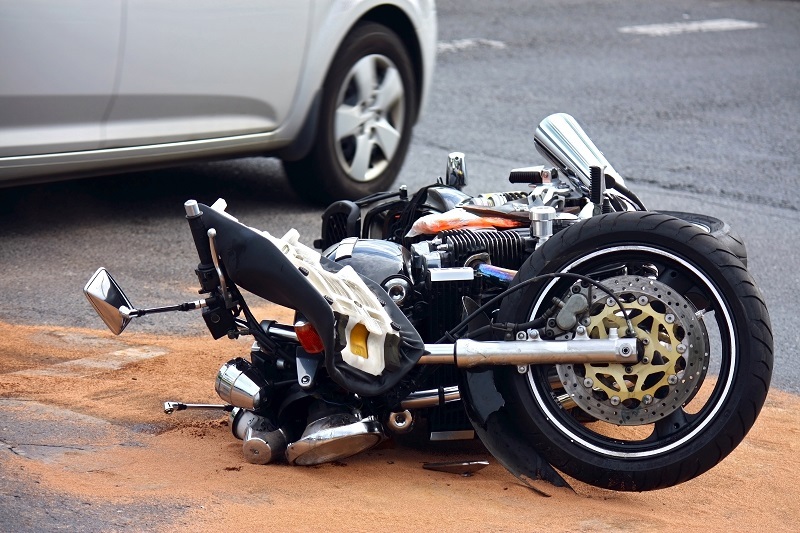 Refusing to give a recorded statement after a motorcycle crash, on the other hand, could be just as bad, as recorded statements may be required to proceed with your claim (that depends on what you agreed to in your insurance policy). Therefore, being represented by a skilled lawyer in Los Angeles or elsewhere in California is most of the time the best way to prevent getting your personal injury claim unreasonably denied or limited. What many insured motorcyclists in California also expect after getting into a crash is that their insurance premiums will skyrocket once their insurer finds out about the crash. Generally, this is not the case if the accident was caused by the other party. If you were the one at fault for the motorcycle accident, on the other hand, your insurance company could increase insurance rates. “Should I accept a low-amount settlement offer or no settlement whatsoever when the other party’s insurance is blaming me for the crash?” The other party’s insurance company is not the judge, and it definitely cannot be trusted. “Given that California insurers tend to be biased against motorcyclists, the fact that the other party’s insurance company is trying to shift the blame onto you does not make it true,” says our motorcycle accident lawyer Los Angeles. Let a trusted law firm conduct an independent investigation of your particular case, collecting such evidence as the police report, witness accounts, reports from accident reconstruction experts, and others. Just because your insurance adjuster says you can recover only a certain amount of money after a motorcycle crash in Los Angeles or elsewhere in California, it does not necessarily mean that their evaluation is fair or true. Schedule a free evaluation of your case by our attorneys at JML Law and let us determine how much money you can recover as part of your personal injury claim. Call our offices at 818-610-8800 today.